Several Chemical Safety Assessments (CSA) have been prepared to generically cover typical solvent types handled at industrial sites and professional workers (e.g. painters, cleaners). Exposure Scenarios (ESs) for specific substances can be created by selecting from the available list of generic CSA templates for each of the GES titles. The ES narratives produced from these templates can be used to complete requirements for communicating the safe use details for the assessed solvent via the Extended Safety Data Sheet. *A Master copy of the Worker CSA Template Excel file is available for generating assessments from scratch, i.e. not based on the GES Excel templates, if required. The GES Worker files in “Chesar” and “MS-Excel (xls)” formats are now available with the latest adjustments to take account of up-dates to ECHA Use Descriptor guidance (V3) and DU Sector Use Maps (as available at the time of this latest revision). Updating the “xls” version of the GES Worker files has provided the opportunity for a line by line review of the GES content against the associated Chesar files. A few adjustments to the contents of the Chesar GES files have been identified. These will be taken into account in the next up-date. Meantime, users should review the OC_RMM mismatch file to check if any items are relevant to their substance assessment so they may be taken into account by Assessors. Sector Specific Worker Exposure Descriptions (SWEDs) are a new tool generated by downstream user sectors providing details of substance uses and conditions of use for chemical products used in their sector. Where DU sectors apply solvents in their products, available Use Maps/SWEDs have been mapped to the GES and details captured in the ESVOC Overview Use Map template. For more background, please consult our explanatory note. How to select the right Worker GES template ? 1. Identify the uses/application(s) of the substance with market information obtained from your company commercial organisation, customers and other downstream users in the value chain. Appendix 6 of the Managing the Health Risks of Solvents Exposures guide provides a list of the common solvents applications matched to the relevant GES title. 2. Determine the volatility band and relevant Derived No Effect Levels (DNEL) for the substance. Volatility bands are based on the ECETOC TRA ranges for workers. DNELs are derived from the hazard assessment described in ECHA Guidance chapter R8. 3. Now that you have the title, volatility band and DNEL(s), you can find the GES you need in the library. If there is no GES Template for the specific requirements of your substance, select the template that is a closest match and adjust as needed. Some ‘special’ uses may not have an appropriate GES developed in which case this will need to be developed from scratch. How to use the Worker GES Template Excel files ? Once you have identified the right GES template, you can apply it in a process consistent with REACH. Detailed guidance on using the template is provided in each of the GES templates under the worksheet ‘Technical User Guide’. The general approach is described below. Please note: the GES template Excel files were updated in September 2018. 1. Insert the relevant DNEL and substance properties, including the Molecular Weight into the GES template. When this step is complete, Excel will auto-calculate ECETOC TRAv3 exposure estimates and the Risk Characterisation Ratios (RCR) associated with handling the material. 2. If the Risk Characterisation Ratios (RCR) are less than one, the associated narrative ES remains valid. This is because the GES already represents a set of conditions that manage risk to an acceptable level and reflect industry best practice. Some solvents may have DNEL values significantly higher than indicated in the GES, resulting in RCRs significantly less than one. In this case, prepare to adjust the Operational Conditions (OCs) or Risk Management Measures (RMMs). For example, increase the duration or adjust general ventilation conditions. If no OCs or RMMs are specifically required to demonstrate safe use, then include the phrase: “No other specific measures identified”. 3. If the RCR is greater than one, then additional Risk Management Measures (RMM) or more stringent Operating Conditions (OC) are necessary. The result of these interventions should lead to an RCR less than one. Consider typical/realistic OCs/RMMs for the task in question. Remember to check the associated ES narrative to ensure that the additional RMM(s) or Operational Condition(s) (OC) are reflected, and up-date if necessary. How to use the Worker GES Template Chesar Files ? The details for each Worker GES template have been converted into Chesar files. These files can be imported into Chesar for further processing based on the actual substance vapour pressure and DNEL values and subsequent auto-transfer into the substance CSR. Chesar format ‘CSA Block’ – each GES Title is available as a separate CSA Block for importing into Chesar on an individual basis (available for vapour and aerosol). Chesar format ‘Use Map’ – GES Titles have been grouped into a so-called Chesar ‘Use Map’ according to the Vapour Pressure and DNEL bands. Each ‘Use Map’ can be imported in one go and any GES titles not required can be readily deleted. Refer to the “Technical User Guide: Transferring Solvents GES Worker files into Chesar” for instructions on how to import and apply the templates and specifically to Appendix 1 for details of which GES titles are included within each Use Map. 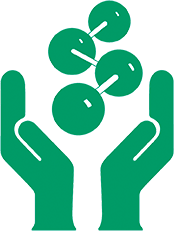 ESIG regularly commissions research to improve the basis for REACH Chemical Safety Assessments. This research gives solvent users more confidence in exposure assessments carried out by suppliers and in the associated Risk Management Measures (RMMs) in Safety Data Sheets.